World War I Wall of Honor | Friends of Fort Caswell Rifle Range, Inc.
To view the Brunswick County World War I Veterans list, click here or the blue “WWI Brunswick Co. Veterans” button on every page. All Brunswick County veterans on the Wall of Honor will eventually have a WWI Profile posted. To commemorate the rifle pit’s centennial year in 2018, a collection of military photographs are displayed on the WWI Wall of Honor during fundraising and special occasions, such as the annual Derby Day fundraiser in May. Additions are welcome and can be included by sending a copy of a photograph of your family member in uniform, their rank, unit/division, any stories about them and the war. We are working to post photos and stories as quickly as we can. Information may be edited for length. Photographs are displayed in alphabetical order. Click photos to enlarge. Dr. Horace Baker Sr. was a physician at Johns Hopkins Hospital working on children’s viruses prior to participating in WWI. After returning from the war he started a hospital in Lumberton, NC. 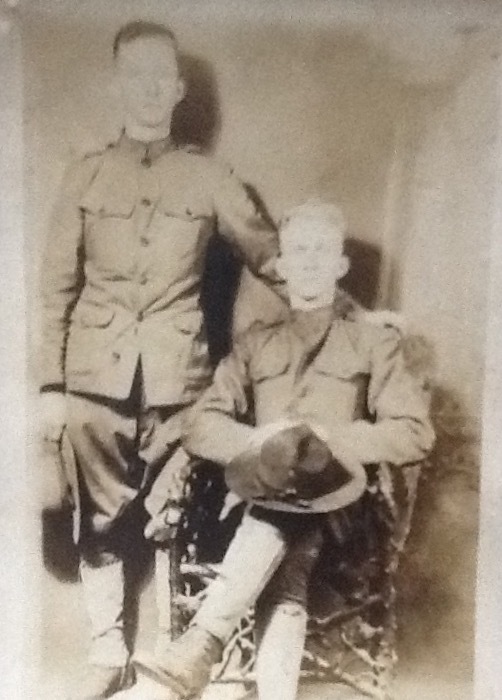 Pvt Handy Minson Bass (sitting) from Cooper, Sampson County, NC, was inducted into the Army on May 26, 1918. Pvt Handy Minson Bass is Jane’s maternal grandfather. 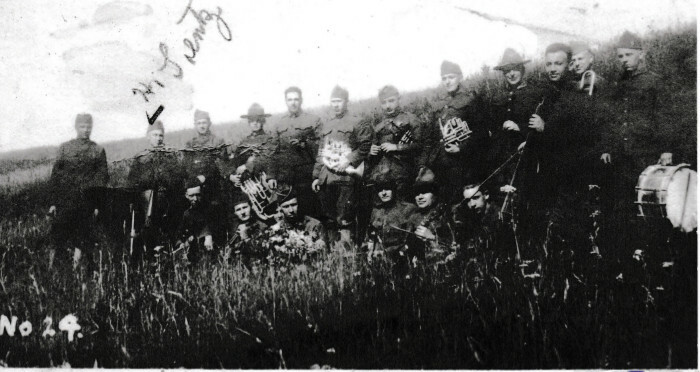 Pvt William Everett Bass (standing) also from Cooper, NC, was inducted into the Army on September 6, 1918. 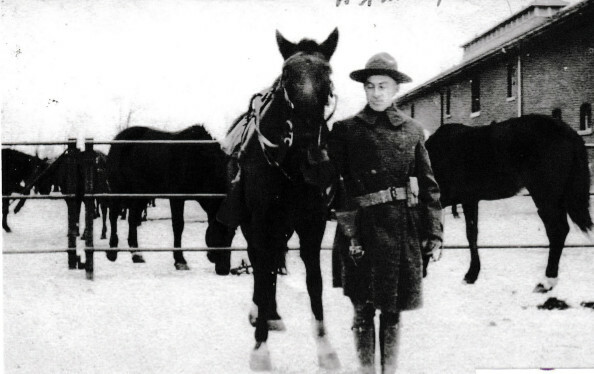 He suffered an injury during training and was honorably discharged with a 25% disability on January 6, 1919. Pvt William Everett Bass is Jane’s mother’s paternal uncle. 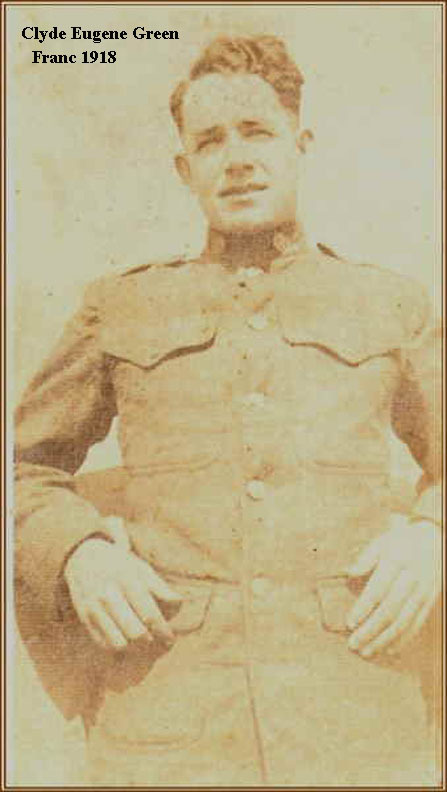 Pvt Ralph Del Rosso from Dunmore, PA, was inducted into the Army on September 3, 1918. 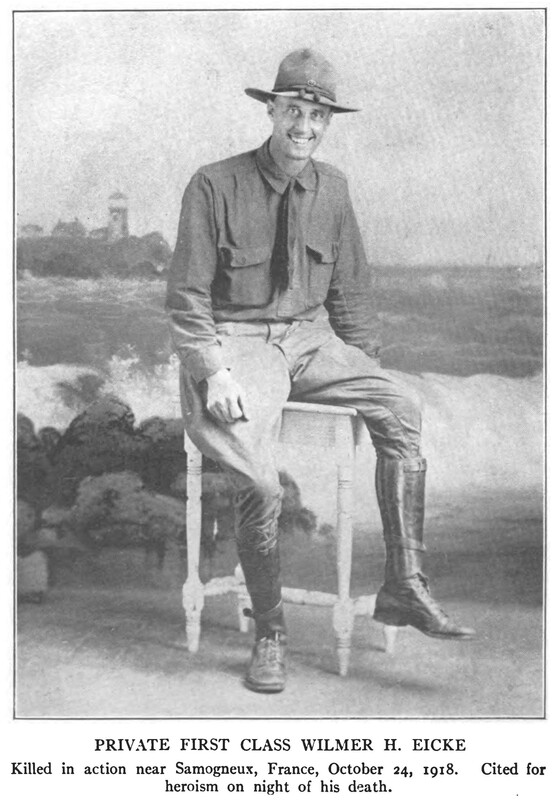 He served overseas in the Transportation Corps from November 13, 1918 – August 31, 1919. 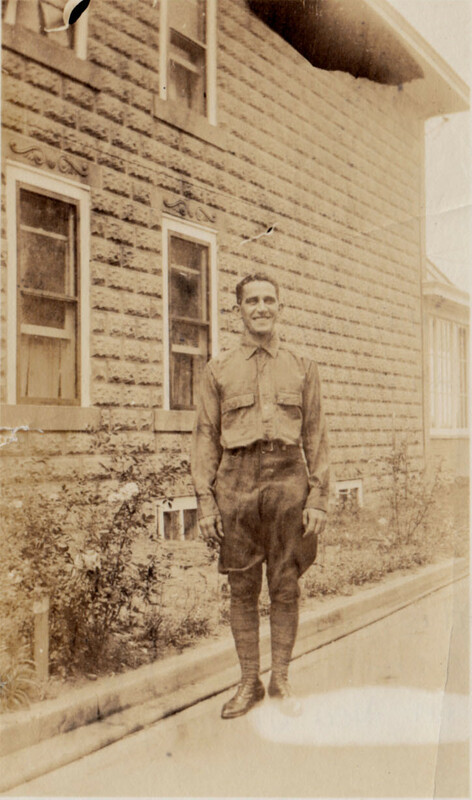 Pvt Ralph Del Rosso is Jane’s paternal grandfather. 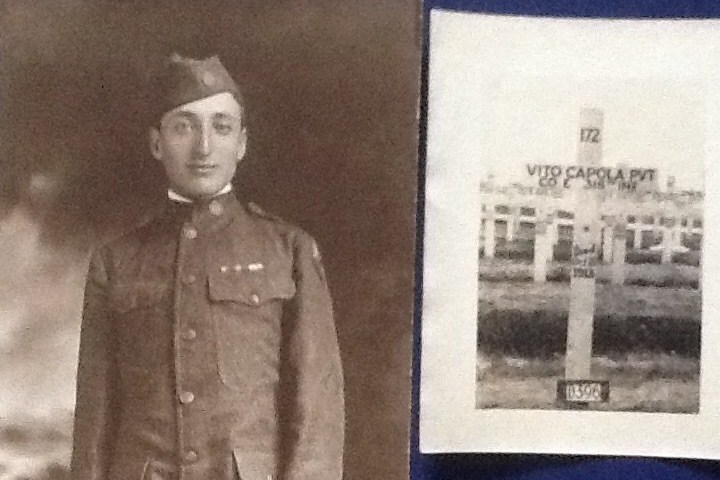 Pfc Vito Copola from Dunmore, PA, was inducted into the Army on May 28, 1918. He served with the 316th Infantry (79th Division) in France, where he suffered a gas injury on October 11, 1918, during the Meuse-Argonne Offensive. Soon after, on October 18, he died of pneumonia. Pfc Vito Copola is Jane’s father’s maternal uncle. 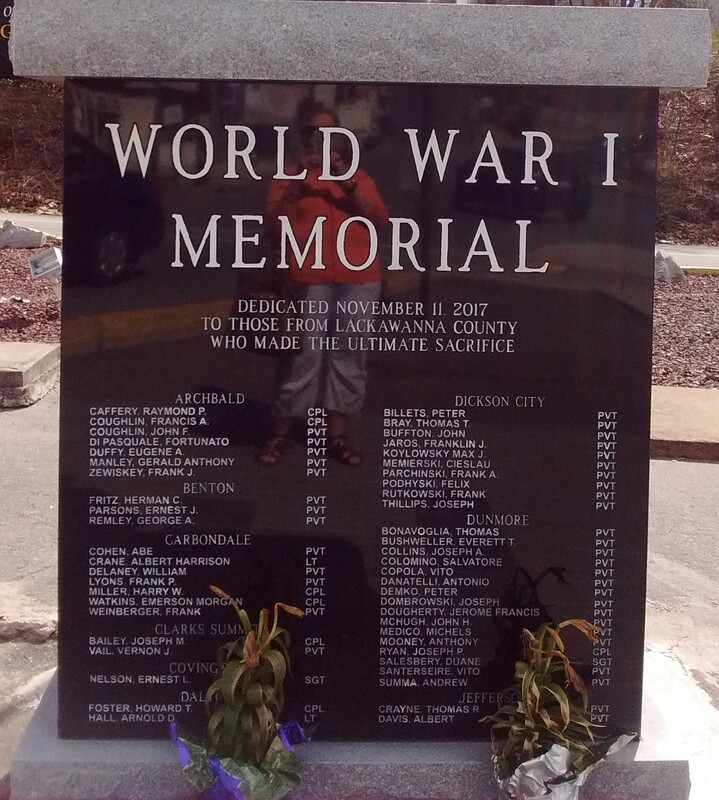 Pfc Vito Copola’s name is etched on the World War I Memorial in Dunmore, PA.
Born in 1891 in New Jersey, Robert J. Beck was married and in medical school at Cornell University during World War 1. He was inducted as a private into the Army through the Student Army Training Corps (S. A. T. C.) program at Cornell in October 1918. He was honorably discharged when his unit was demobilized at the end of the war. Robert Beck died in 1967. Robert Beck is Bill Rankin’s maternal grandfather. 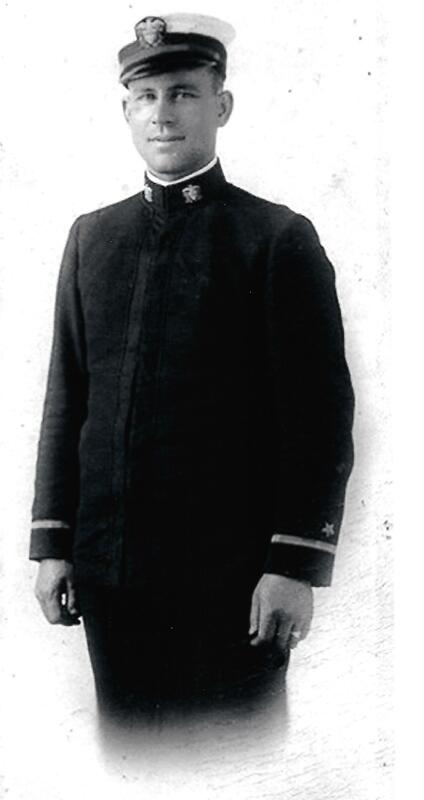 Born in 1895 in Pennsylvania, Ward W. Weller enlisted in the Navy in May 1917. He served on a submarine chaser, SC 36, from January 1918 to June 1919, first as a seaman and then as a coxswain (helmsman). SC 36 was based in Plymouth, England. The American sub chasers were 110 foot long, gas-powered wooden boats; much smaller than German U-boats. Radar had not been invented yet, so the sub chasers, patrolling in 3-boat units, hunted for the U-boats by listening for the sounds of the U-boat engines. Ward Weller died in 1970. Ward is Jayne Rankin’s maternal grandfather. 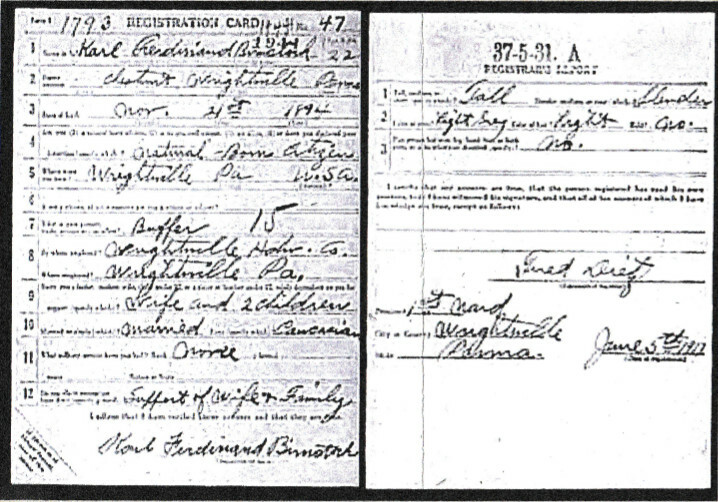 Karl Ferdinand Birnstock enlisted at Wrightsville, PA, on June 5, 1917. Weight and height is listed as “slender” and “tall.” Karl is Leddy Polity’s grandfather. Hamilton Eckles Lentz was born April 11, 1892, and was 22 years old when he enlisted. “Uncle Hammie” is the brother of Leddy Polity’s grandmother. Hamilton played the bugle in the Army band at Army hospitals, giving concerts to provide morale boosting entertainment for the troops. They played in nearby French towns to reinforce a positive relationship between the two countries. The Military field bands often led troops into battle, out of the trenches, and served as stretcher bearers. 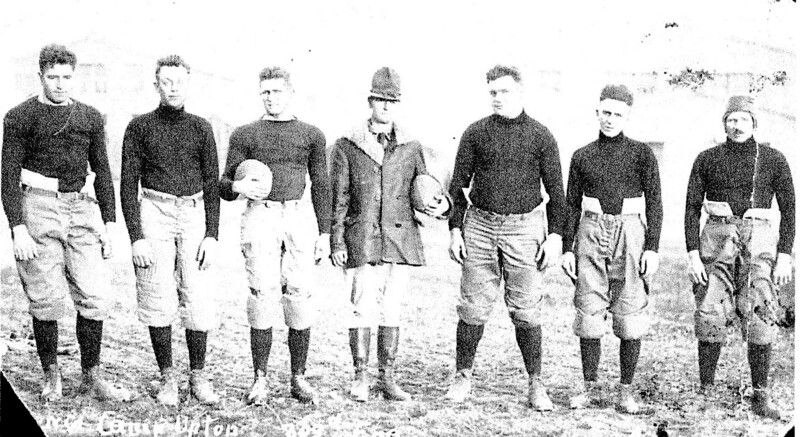 Hamilton is second from the left. 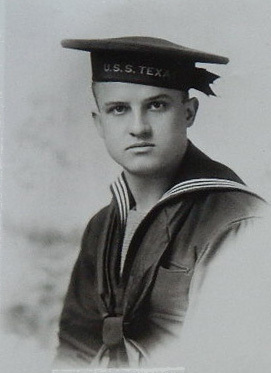 Seaman Clyde Bland left college at the University of Kentucky in 1917 to enter the Navy and serve on the USS Texas during WWI. When discharged in 1919, he returned, graduating in 1920 as president of his class. Clyde’s service was documented in a diary he kept. Lucia Bland Lister is Seaman Clyde Bland’s daughter. Coaling the ship. 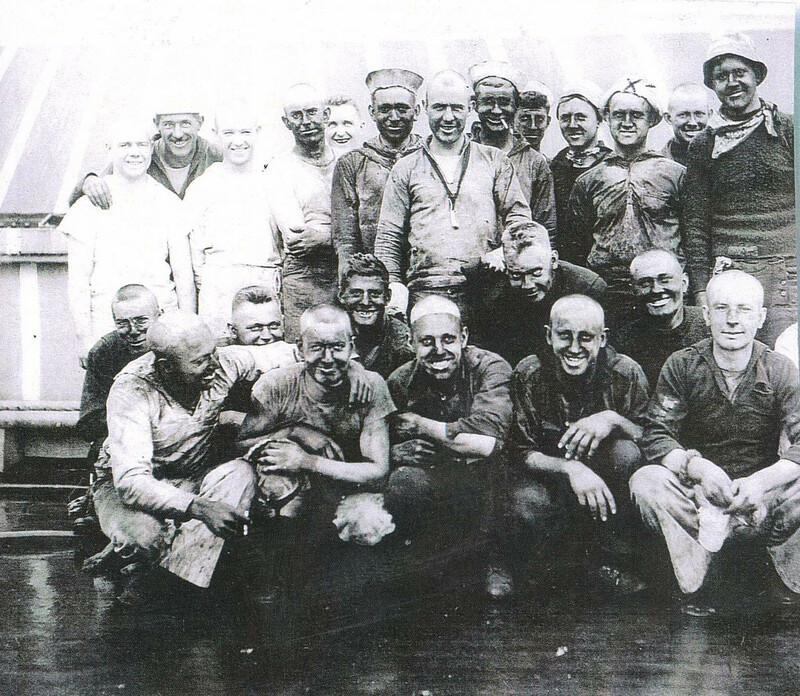 Seaman Clyde is standing, third from right. Clyde’s brother Leroy Bland also left the University of Kentucky to join the war effort by enlisting in the Army. He returned to the university and became an outstanding football player but left before graduating to become manager of a Cuba sugar plantation. Leroy is Lucia Bland Lister’s uncle. Clyde and Leroy’s brother Charles Bland joined the Navy and served on the USS Tacoma that was in the South Seas. The ship sunk later but not by the enemy. He returned to the University of Kentucky to complete his education. Charles is Lucia Bland Lister’s uncle. 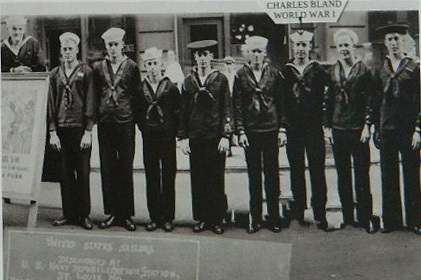 Charles Bland and his fellow seamen. 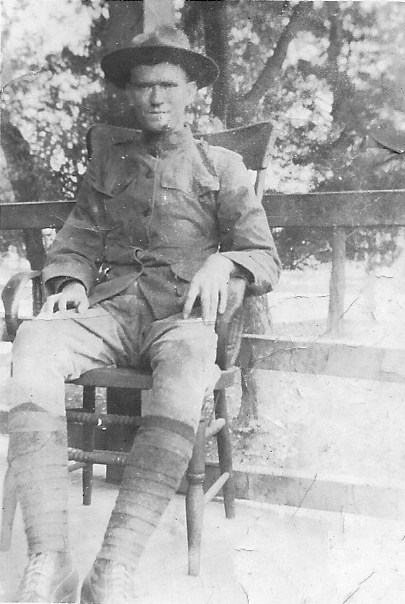 Edward Clarkson Bonnell enlisted in the Army April 1918 from Bay Head, NJ. 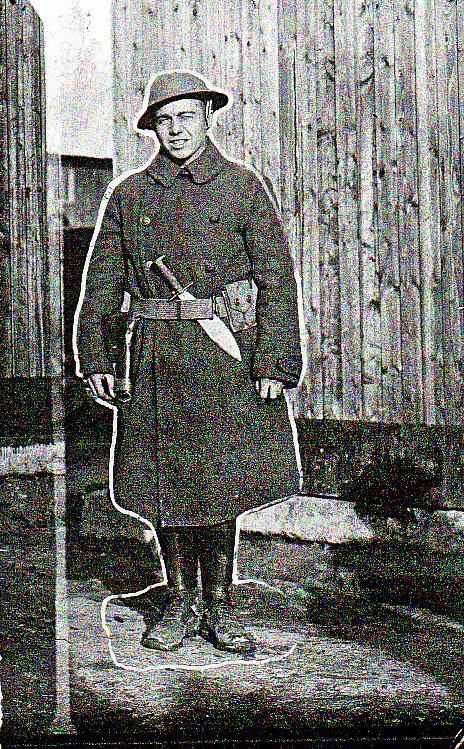 “Bonny” fell mortally wounded early in the advance of the Hindenburg Line, dying in hospital October 2. 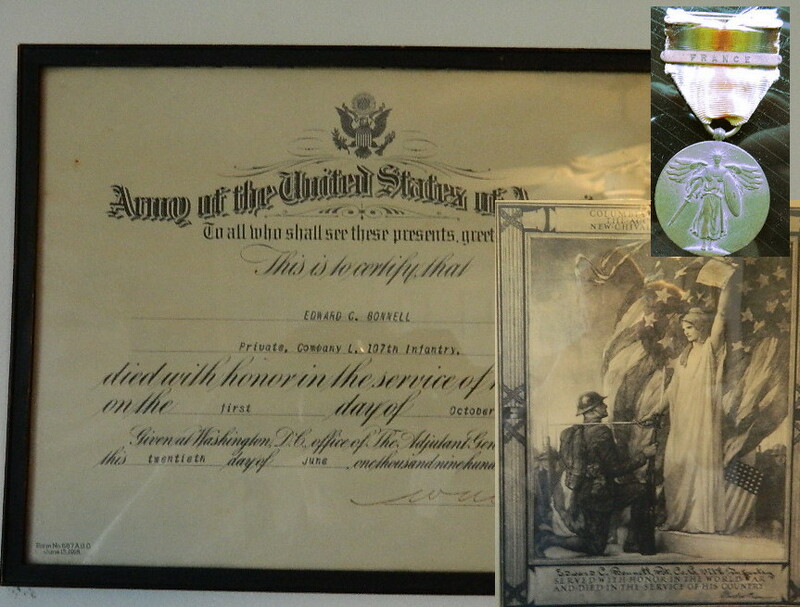 Dennis Wrynn rescued these photographs and artifacts from an estate sale and displays them to honor Private Bonnell and his sacrifice. Private Bonnell’s artifacts from his service, from Dennis Wrynn’s collection. 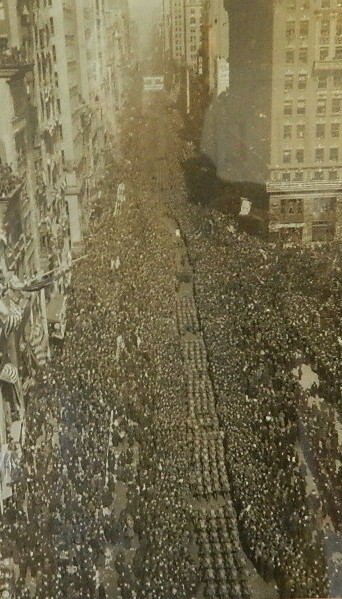 New York City at the end of World War I, from Dennis Wrynn’s collection. 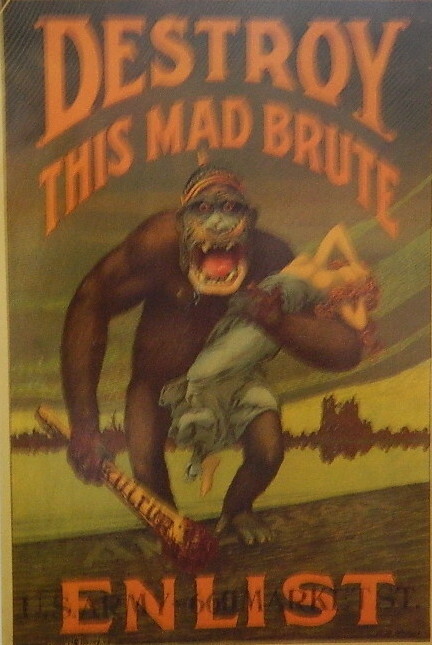 World War I Poster, from Dennis Wrynn’s collection. Andrew Robertson “Scotty” Calder was born August 8, 1896, in Lasswade, Midlothian, Scotland. He served with the New York Motor Transport Corp. Company 429. Andrew died March 22, 1935. Andrew Robertson Calder is Carol Johnert’s grandfather. 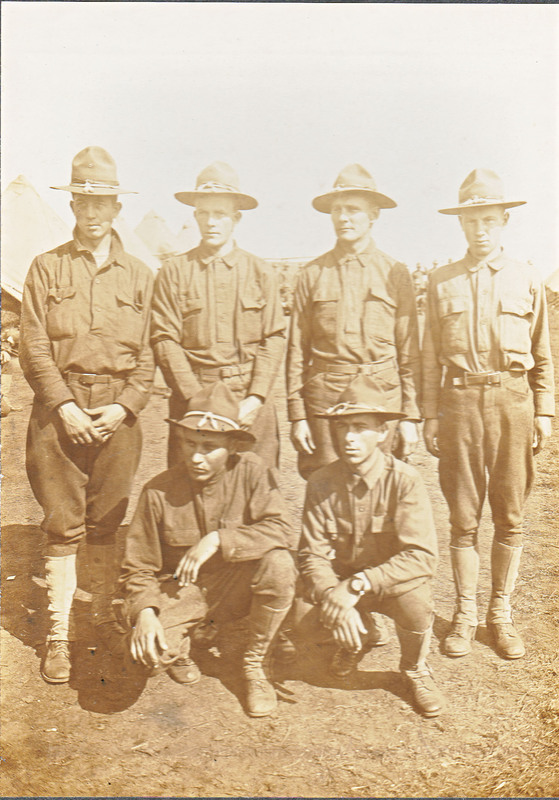 Private First Class Louis “Lolly” B. Doerr (far left) was stationed at Camp Upton in Laphank, NY, while awaiting transport to ship overseas. (Irving Berlin wrote “Oh! How I Hate to Get Up in the Morning” while stationed at this camp.) On September 26, 1918, Louis was bringing in German prisoners when they came under artillery fire. Louis continued moving the prisoners into the shelter when a shell burst, killing him and two other prisoners instantly. Louis B. Doerr is Carol Johnert’s husband’s great uncle. 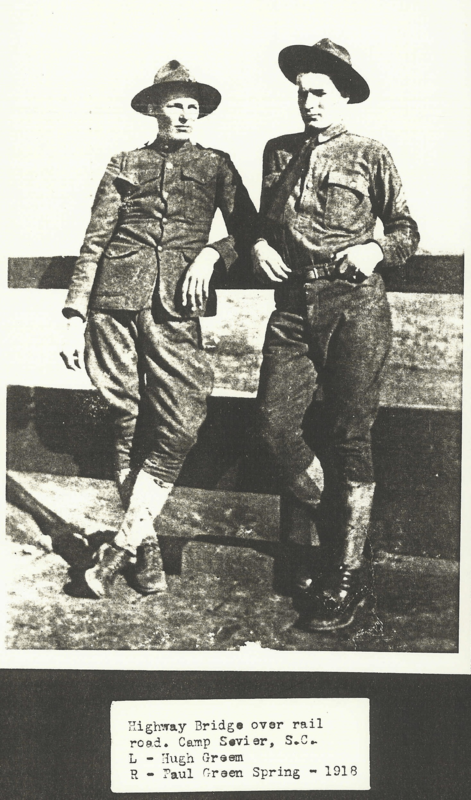 Pfc Lolly Doerr served in the 77th Division with Brunswick County’s Sgt Forney Mintz. 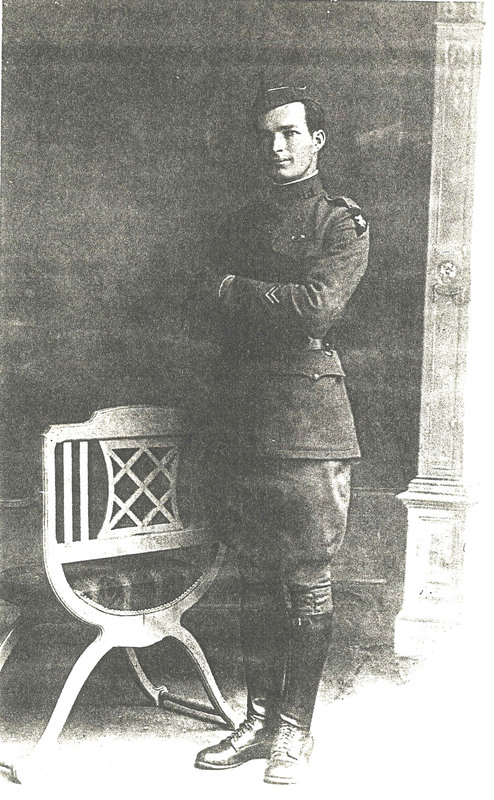 Read the World War I Profile for Sgt Mintz here. 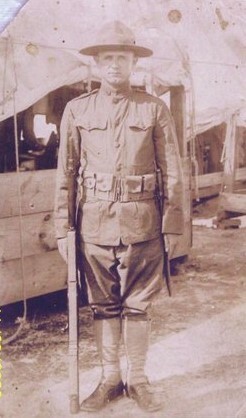 Chalmer W. Carver, Sr. served in France from 1917-1918 as a corporal in the Engineering Corps of the 29th Division. He participated in the Battle of the Marne among others. He was active early in the formation of the American Legion in Trenton, New Jersey. His uniform is on display at a VFW post in New Jersey. Chalmer W. Carver, Sr. is Ruth M. Carver’s father-in-law. Private Harry Chinnis was a resident of Brunswick County and served in Germany. Harry is pictured on the right. Written on the back of the photograph is the notation, “Made in Neuwich Germany on the Rhine April 1, 1919”. 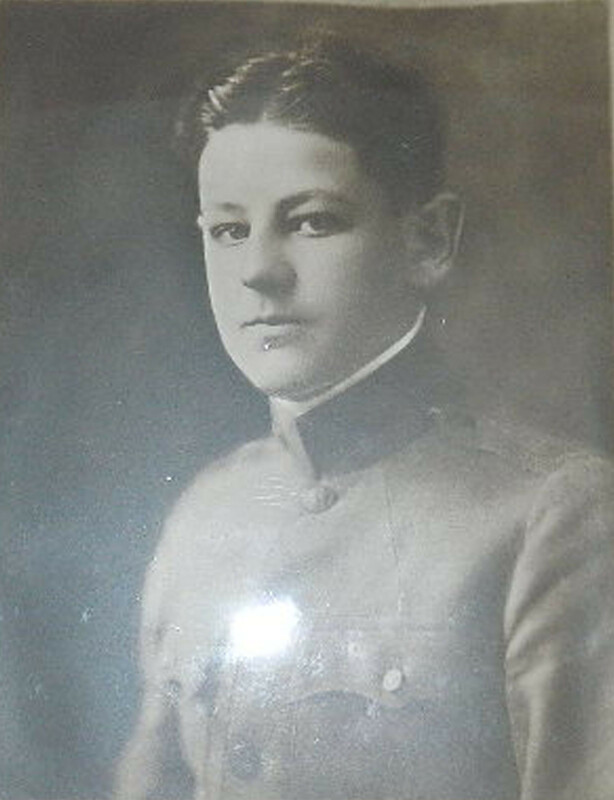 Private Harry Chinnis is Jane B. Henry’s maternal grandmother’s brother. 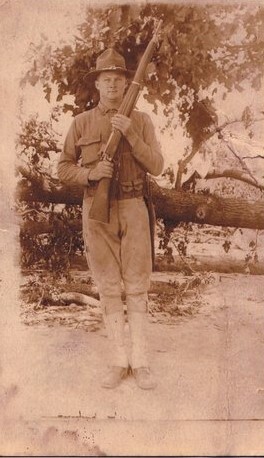 Private William (Willie) Millinor, from Brunswick County. Private Millinor is Jane B. Henry’s paternal grandmother’s brother. 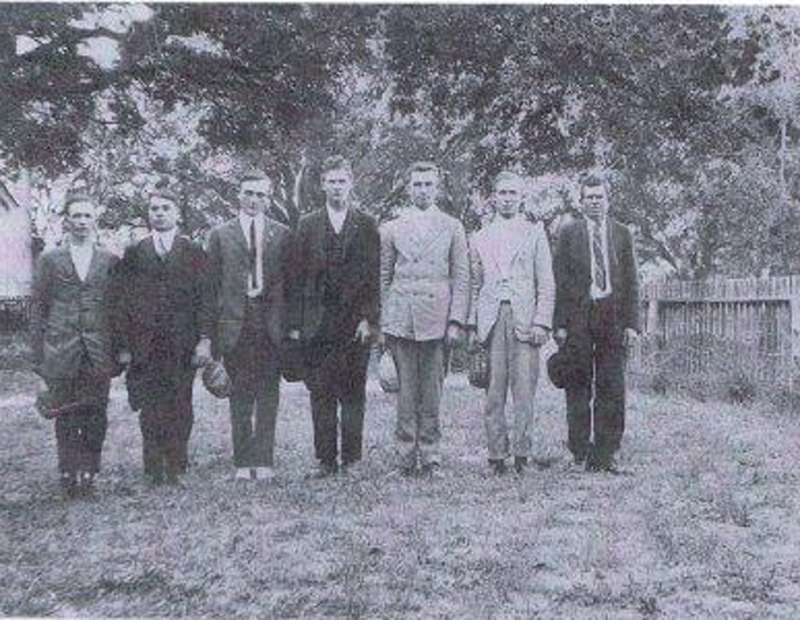 Also submitted by Jane B. Henry, this photograph of Brunswick County recruits from 1914. Second row, third from the right is possibly Floyd King Henry, her husband’s uncle. Front row, left, is Marvin Robbins, grandfather of Patricia Robbins of Virginia. Rolla Clinton Clark was born in Hazel Green, Kentucky, in 1894. He was an unmarried farmer when he joined WWI in June 1917. On his return, he continued farming and spent his life in Iowa until his death in 1982. Rolla Clinton Clark is Jackie Craft’s uncle. Henry Lindon Clemmons was born in Supply, Brunswick County, NC. He was 22 and married with one child when he registered for the draft of June 1917. He was ordered to report for duty on October 1917 with six other men from Brunswick County. He served in France with the 322nd Infantry, 87th Division. 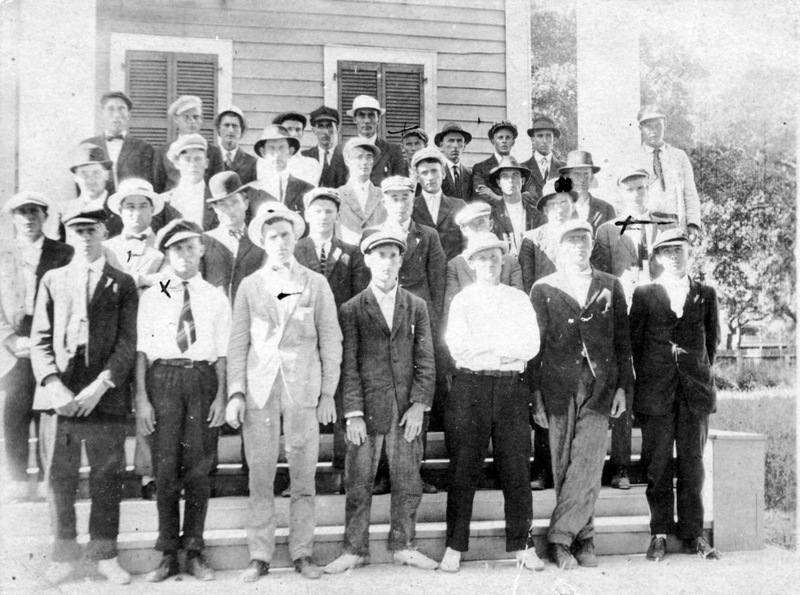 At his death, in 1960, the State Port Pilot praised him as one of the most respected men in Brunswick County. Of his three sons and one daughter, all three sons served in the military. Sgt Henry Lindon Clemmons is Gwen Causey’s grandfather. Read his World War I Profile Post here. 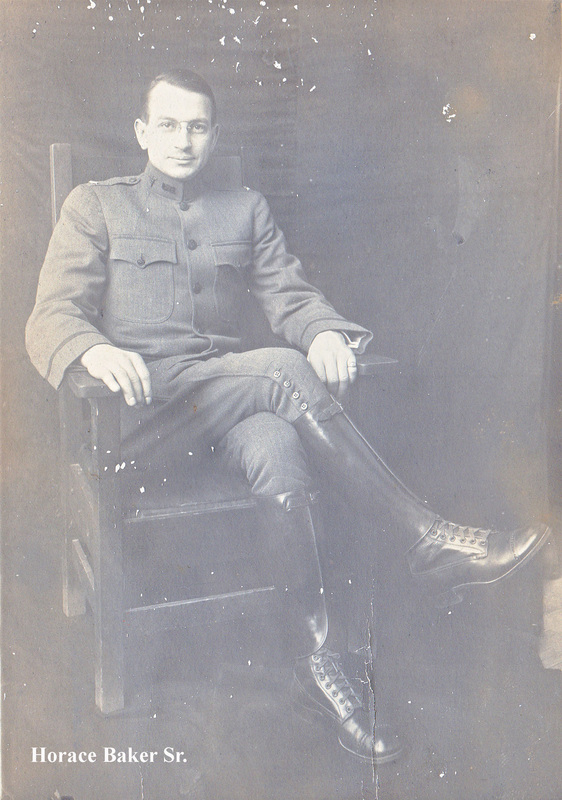 First Lt. Donald Frazer Crane entered the U.S. Army August 27, 1917, at Plattsburgh Barracks, NY, as a Cadet in the Artillery. He was assigned to the 5th Battery Second Officer’s Training Camp. He served overseas from May 1918 to October 1919, and participated in Grand-Pre; Meuse-Argonne; St. Mihiel; Baltic Mission in Finland and Baltic States. He was discharged as a 1st Lt Battery “F” 308th Field Artillery. 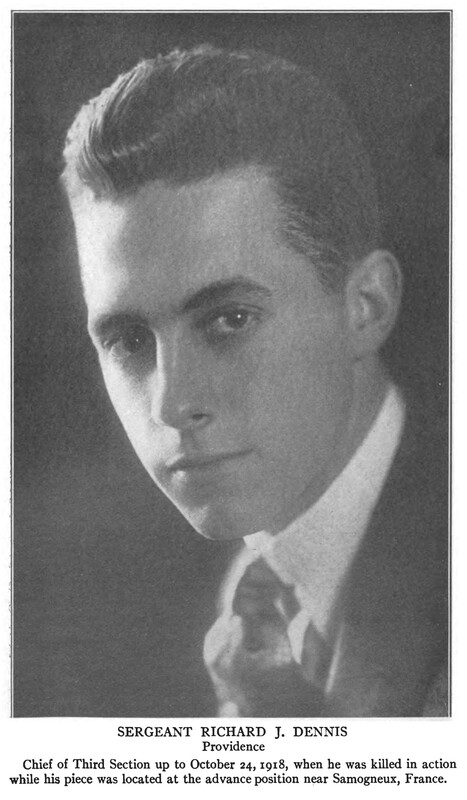 He married in 1922, then later lived in New Canaan, CT, until his death on May 28, 1953. 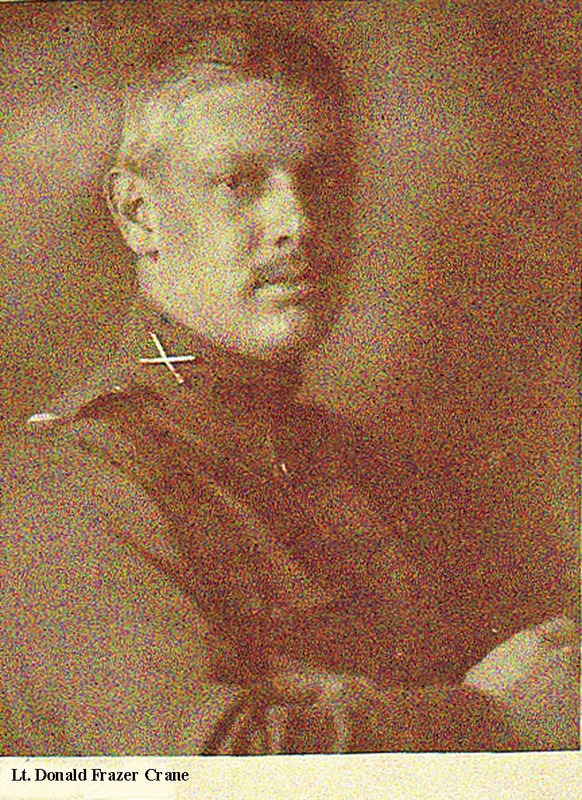 First Lt. Donald Frazer Crane is Frazer Crane, Jr.’s father. Pvt. 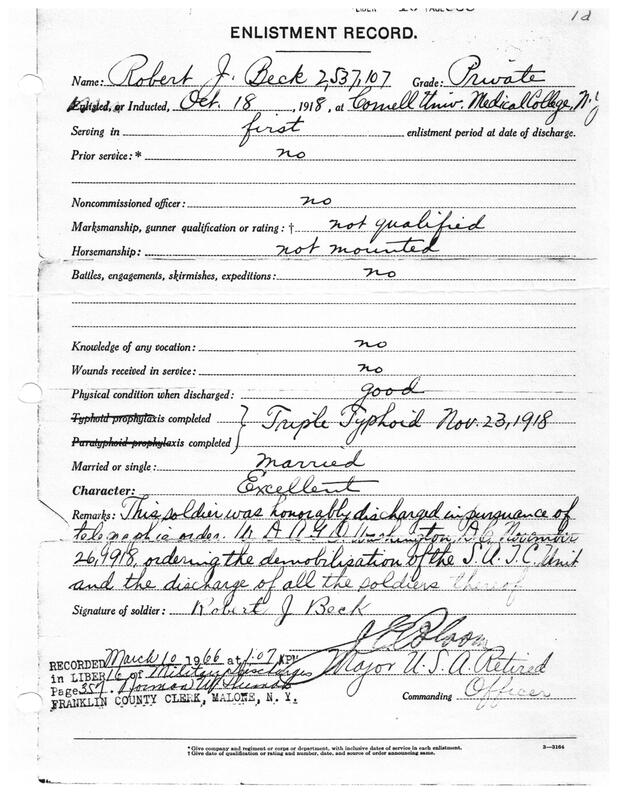 Willis Sanford Eckard enlisted in the U.S. Army May 12, 1918. 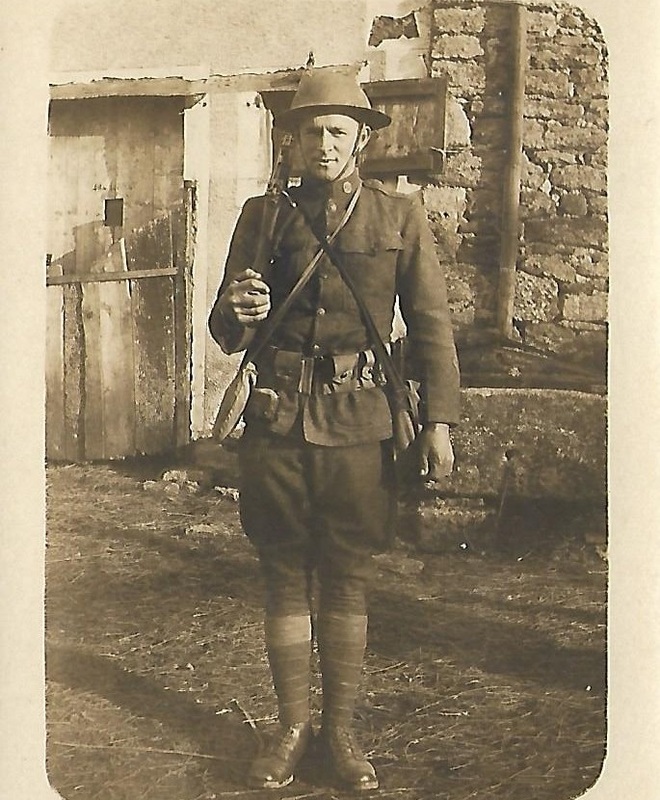 He served overseas from July 1918 to February 1919 in the Sixth Division, 52nd Infantry, and participated in the Meuse-Argonne offensive. He married in 1925 and was father to several stepchildren, having none of his own. 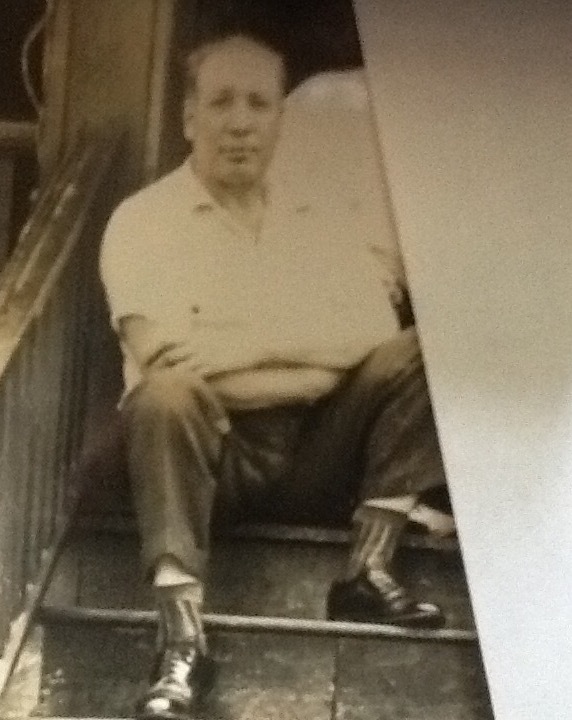 Exposure to mustard gas damaged his lungs, causing chronic health issues. It also appears he struggled with PTSD and aphasia. Willis spent his last 25+ years in Veterans Facilities, ultimately passing away in 1966 at the facility in Mountain Home, Tennessee. 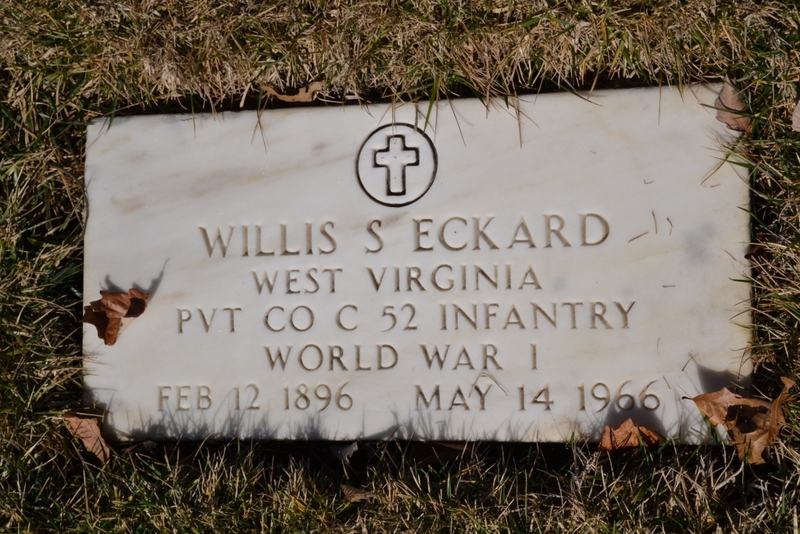 Pvt Willis Sanford Eckard is Ronald Eckard’s great uncle. Information about Ronald’s ancestors can be found in his book, Eckards: From the Rhine to Limerock. 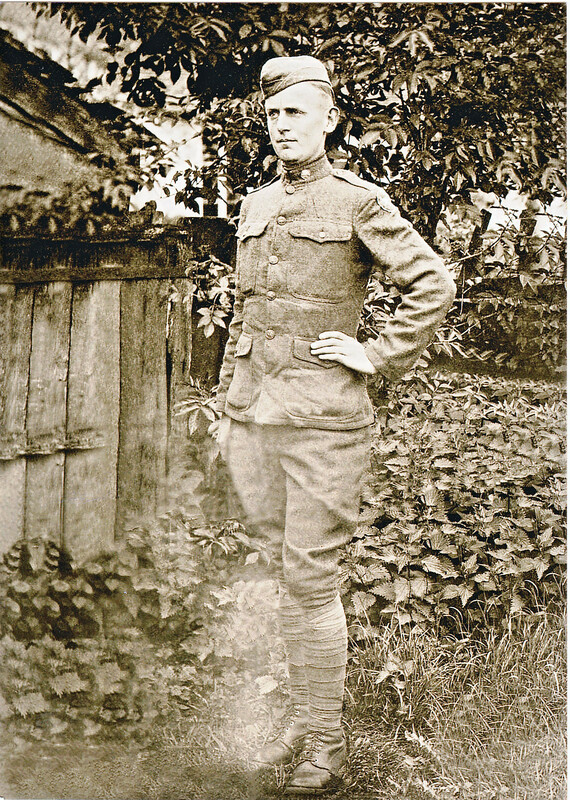 Corporal Cecil Vernon Miller left his home in Bedford County, Pennsylvania, in March 1918 for Camp Lee. He was 26 and had lost his first wife several months earlier. He was in the battles of Verdun and Argonne Forest, and was “Over the Top” twice before being wounded during the third time, suffering from a shell wound on the right side of his face below the ear. Cecil remarried in 1921, had three children, and became the owner and operator of Miller’s Feed Store for 30 years in Bedford. Cecil died in 1968. Corporal Cecil Vernon Miller was the father-in-law of Ronald Eckard’s uncle. 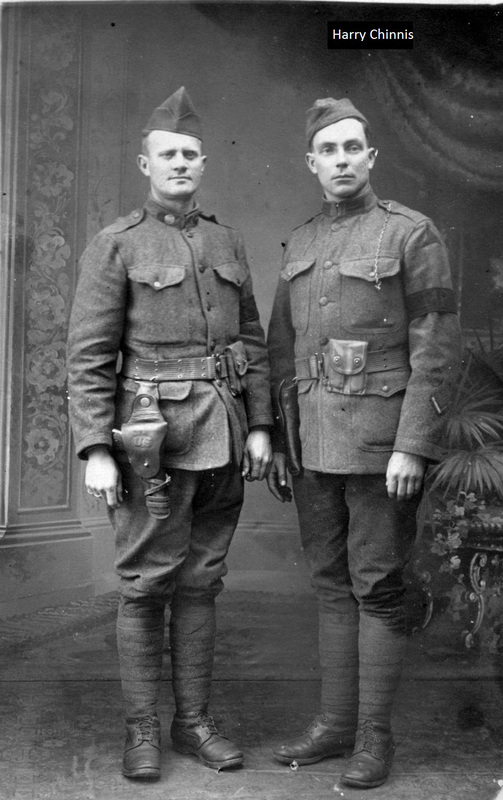 Corporal Martin D. Miller is shown on the right with his brother Cecil. 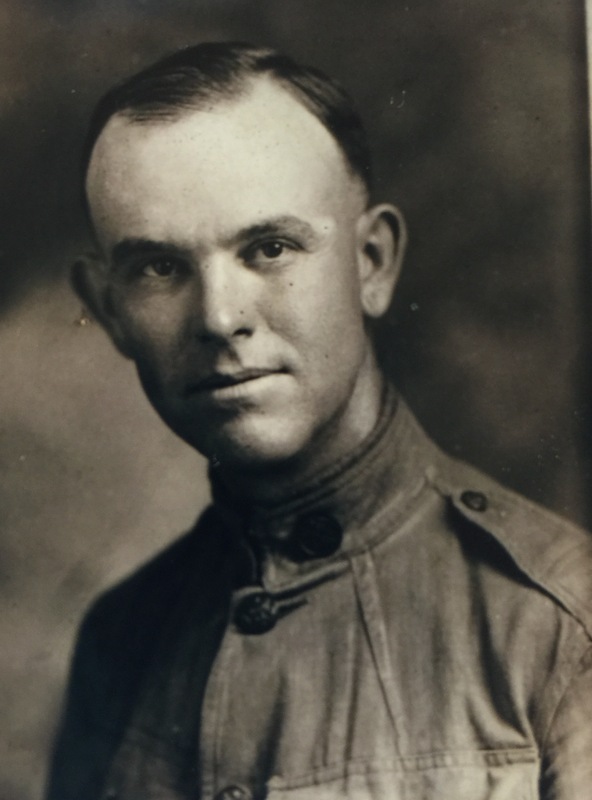 Cpl Martin Miller served overseas with the 16th Infantry through the battles of Lorraine, St. Mihiel, and Argonne, until severely injured on October 9, 1918. He died in 1987 at age 93. He was the last of ten brothers, with one sister of four still living. He had no children. Pvt. John Sterling Taylor was a member of the 72d Bombardment Squadron during WWI. His previous experience was in the WV National Guard for 5 months, which made him part of the 28% of soldiers with prior experience. 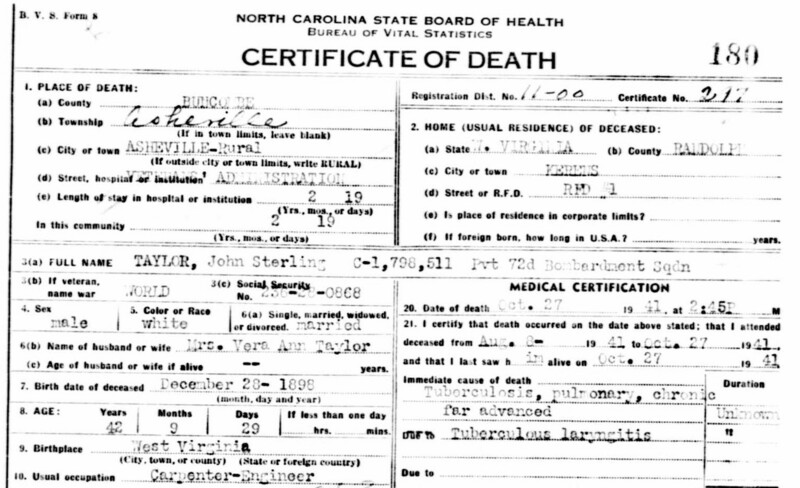 John ultimately succumbed after a long battle with “far advanced” tuberculosis in 1941 at Oteen Sanitarium in Asheville, NC, leaving behind a wife and five young children. The WV American Legion of Cheat Valley met his body near his home but it is unknown where he was buried. Pvt. John Sterling Taylor was the stepson of Pvt. Willis Sanford Eckard, Ronald Eckard’s great uncle. John Daniel Eriksen served in WWI in the 56th Engineers (Searchlight), serving overseas for a year beginning in March 1918. Born in Norway, John immigrated to America in 1906. A visit to Southport, NC, led to marriage with Esther Dosher in 1916. After the war, John captained menhaden boats for the Brunswick Navigation Company. He also served as mayor of Southport from 1935 to 1949. Wagoner John Daniel Eriksen passed away in 1961. He is Trudy Young’s great-uncle, and was like a father to her. She remains in the house he lived in his whole life. Trudy has shared letters her great uncle wrote during the war, which can be found here. Read his WWI Profile post here. Edward Farrell was a decorated veteran of World War I (Distinguished Service Cross). He returned home to Hartford, CT, and became a firefighter. 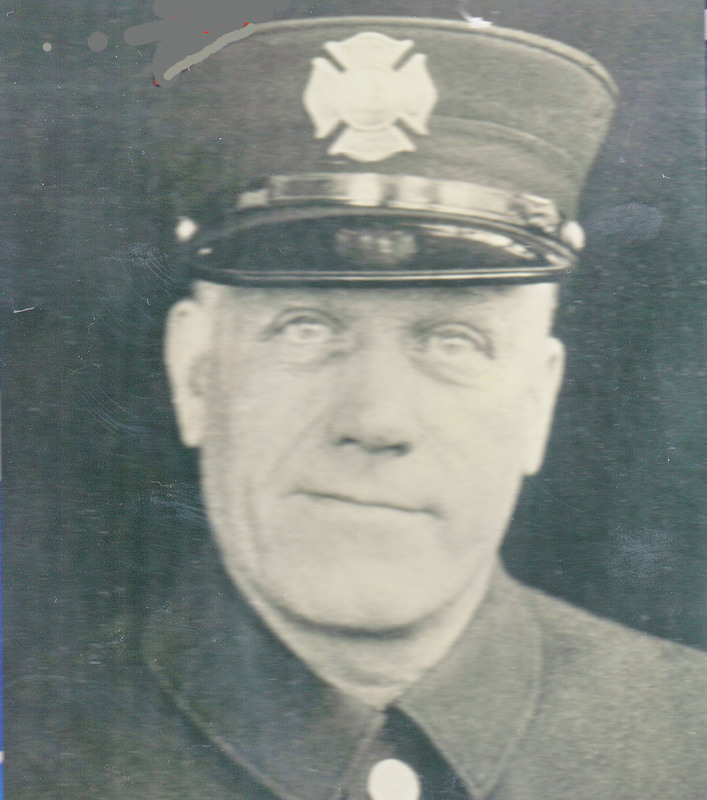 On Halloween Eve 1939 he was killed while responding to an alarm of fire. Edward Farrell is Jim Ring & Margery Ring Leuschner’s great uncle. 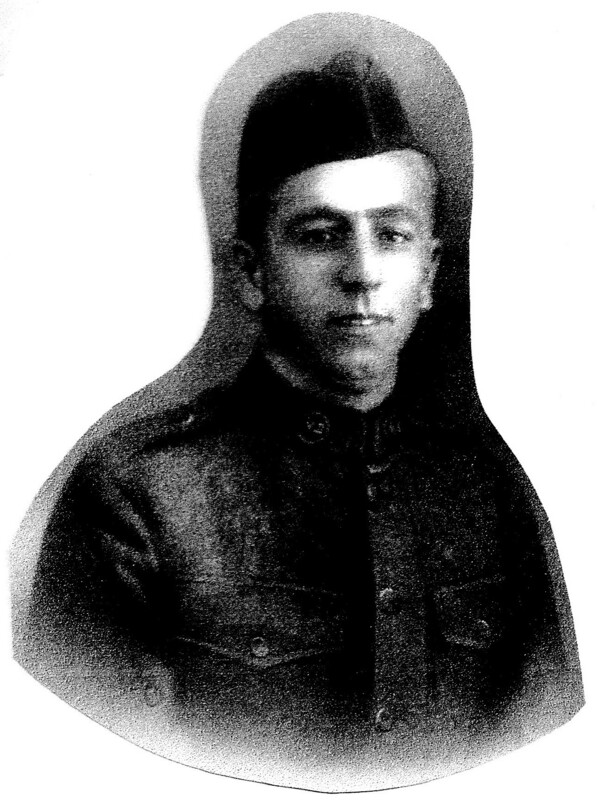 PFC Frank J. Fetta from Chicago served from 1917 – 1919. 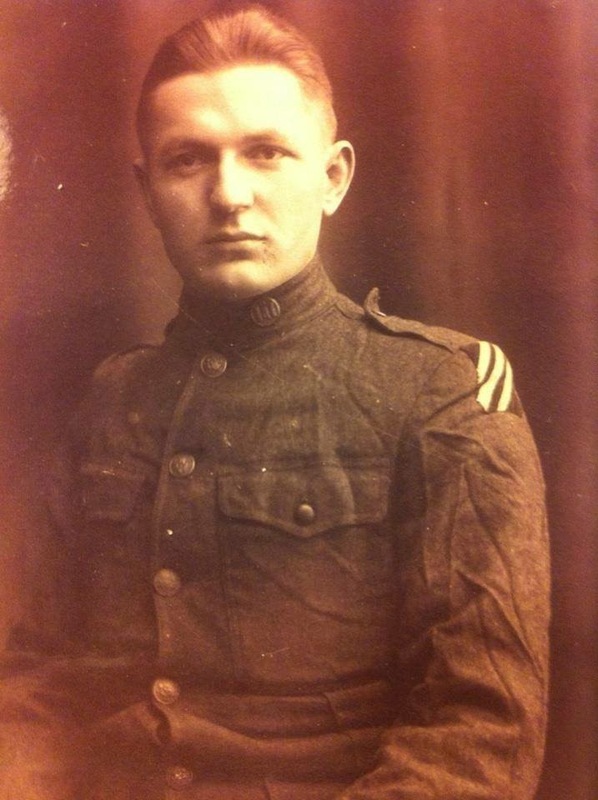 After fighting in France, he marched to Germany in November 1918, then returned to France and back to the USA. During this time, he kept a war diary, which was later typed by his daughter and distributed to the family. He died May 12, 1984. PFC Frank J. Fetta is Monika Satterwhite’s grandfather. 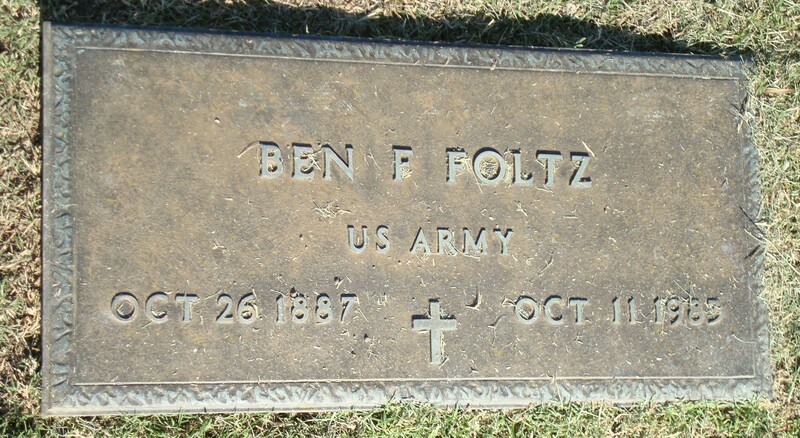 Benton F. Foltz was inducted on July 25, 1918, at Ft Leavenworth. He served with the Signal Corps in Ft Meade. The Signal Corps develops, tests, provides, and manages communications for the command and control of combined arms forces. While the new American voice radios were superior to the radiotelegraph sets, telephone and telegraph remained the major technology of World War I. His interest in radios may have led Benton to work many years in radio sales. 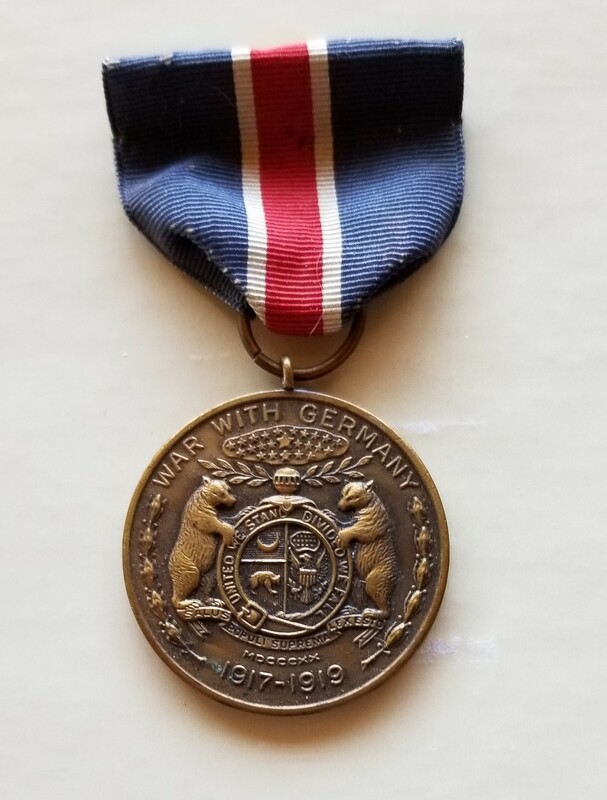 This medal was retroactively awarded to those who served in WWI from Missouri. 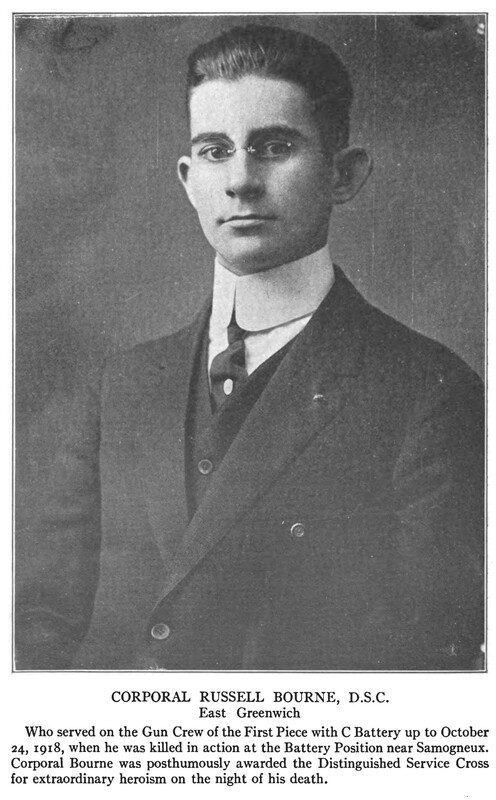 Benton F. Foltz was Frances Carlsen’s great uncle. In 1918, while stationed with the Quartermaster Corps at Fort Caswell, Walter Kenneth Gaylor was married to Lina Bowen Edwards at her home at 308 Church St. Walter enlisted May 1, 1916, and was discharged November 26, 1918, as a Sergeant in the Quartermaster Corps. Walter died September 12, 1955, and is buried in Oakdale Cemetery, Wilmington, NC. Quartermaster Sergeant Walter Kenneth Gaylor is the grandfather of Lee Gaylor Reynolds and her twin brother Walter Kenneth Gaylor III. 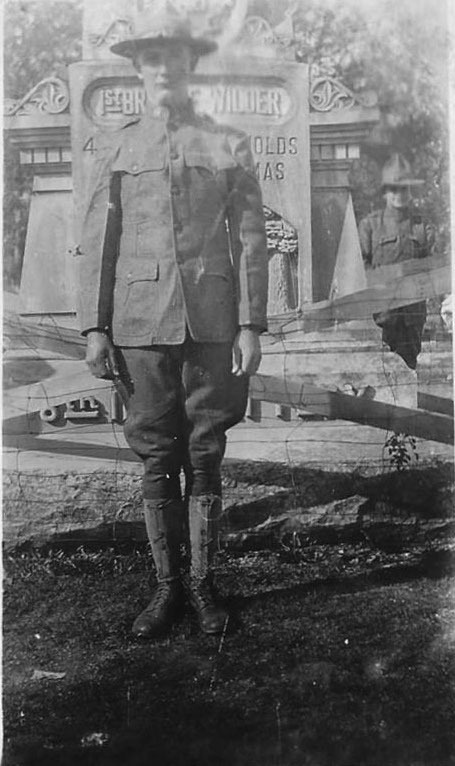 One of three Green ancestors who served in World War I, Clyde Eugene Green suffered mustard gas poisoning during his service in France from 1917-1918 and later developed TB. Clyde is Harriet Barlowe’s distant cousin. 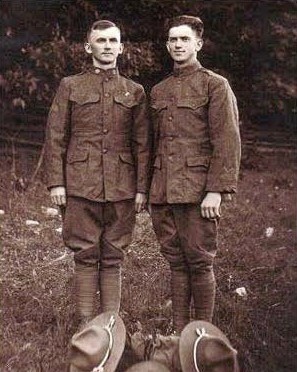 Green brothers Daniel Hugh Green age 22 and Paul Eliot Green age 24 at Camp Sevier, SC, 1918. Paul served with the 105th Engineers, 30th “Old Hickory” Division, while Daniel served in the 119th Infantry, 30th Division. Daniel and Paul are Harriet Barlowe’s distant cousins. Paul Eliot Green age 22, 1919. Paul later became an award winning playwright, documenting life in North Carolina. Paul is Harriet Barlowe’s distant cousin. Read more about Paul Eliot Green on the NC Department of Natural and Cultural Resources blog here. Ben W. O. Hildebrandt was born October 5, 1897, son of Henry Benard and Lina Weiman Hildebrandt of Westhoff, DeWitt County, Texas. He saw several months service on the Mexican border before shipping out to France with the gallant 90th Division, Company “E” 141 U. S. infantry. Ben gave his life on the battlefield in France on October 8, 1918, almost immediately after his 21st birthday. 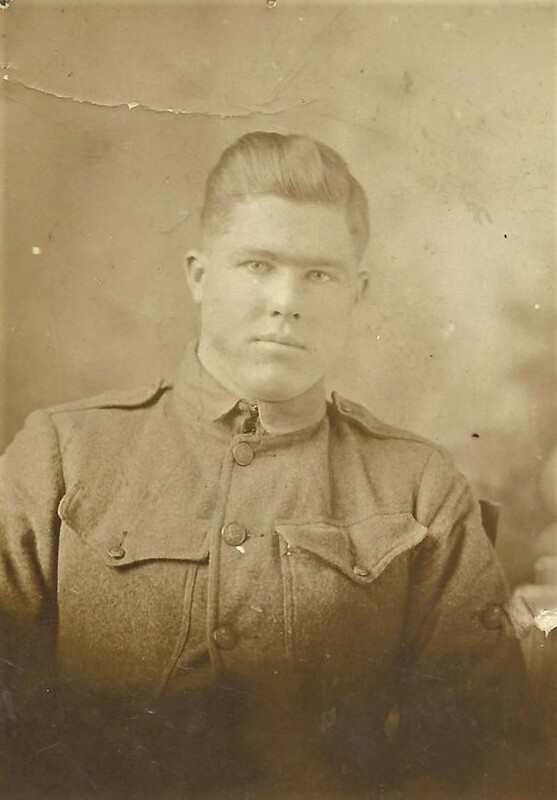 Private Emmet Hoyt enlisted on May 31, 1917, from Pennsylvania. He served overseas from May 2, 1918, until May 12, 1919. On July 30, 1918, he was wounded with a gunshot to the right leg. 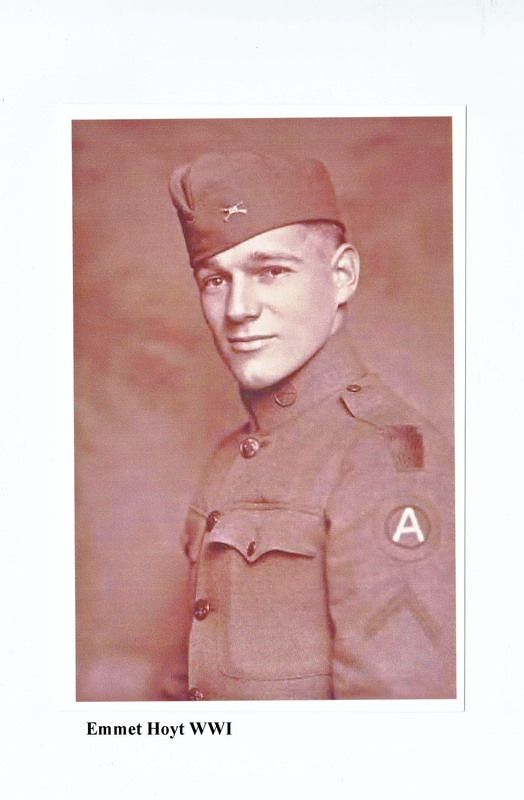 He was discharged at Ft Dix on May 23, 1919. On December 7, 1941, Emmet Hoyt enlisted to fight in WWII. He served until his retirement on July 31, 1955, attaining the rank of Colonel. Colonel Emmet Hoyt, a veteran of two world wars, passed away on Dec. 22, 1978. John William Lancaster was born in Supply, NC. 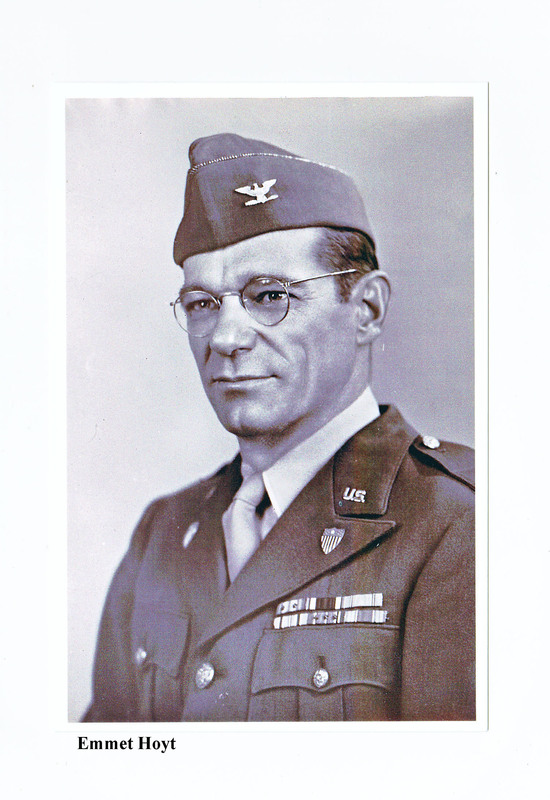 He was inducted into the US Army on October 5, 1917, and served in the Medical Department of the 115th Machine Gun Battalion with the 30th “Old Hickory” Division. Pvt Lancaster was overseas from May 10, 1918, until March 22, 1919. Marilyn Aldridge Swain is John William Lancaster’s granddaughter and the daughter and niece of his children, Victoria (“Vickie”) Lancaster Aldridge, Jessie Lancaster Walker, and John, Jr.
Lt. j.g. 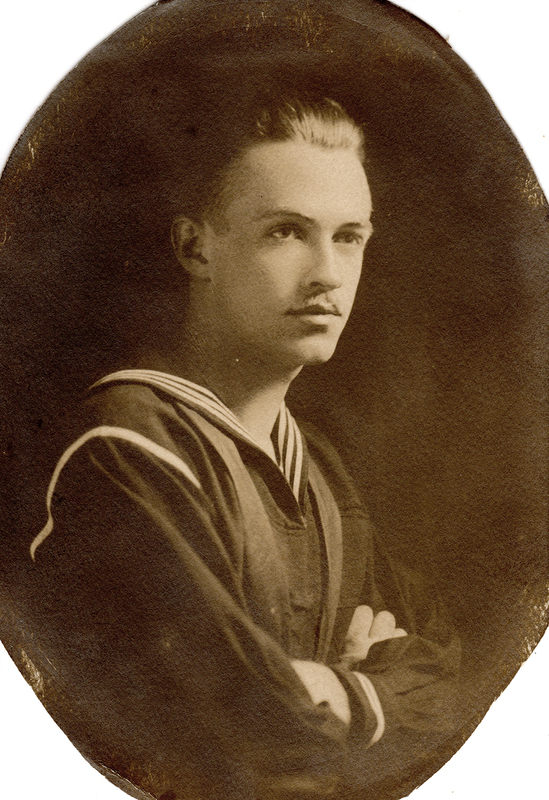 David Elton Lewis enlisted in the Navy on May 1, 1917. A resident of Wilmington, David was born March 5, 1891, in Brunswick County, NC, and died Jan 5, 1965. David Elton Lewis was David Lewis’ grandfather. Private Jackson Berry Potter of the 117th Engineer Train, 155th Depot Brigade, 4th Company, US Army, was born November 15, 1896, in Brunswick County, NC, and died July 30, 1972. Great Uncle Jack was the brother of Dale’s Great Grandfather, Santa Ana Potter. Dale visited him at his farm many times as a child. Read his World War I Profile Post here. 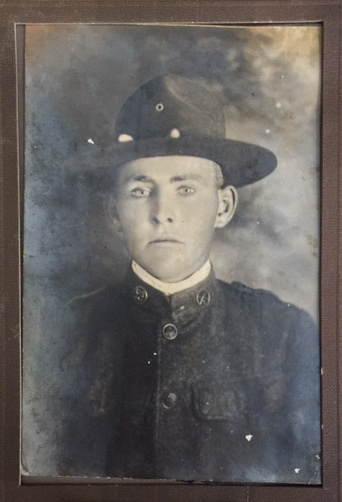 Private Robert Eugene Robbins from Southport, NC, enlisted April 1918 at age 22 and served in 81st Division; 324 Infantry Regiment. In France he fought at St. Die and Meuse-Argonne Offensive aka Battle of the Argonne Forest. He was discharged June 18, 1919. 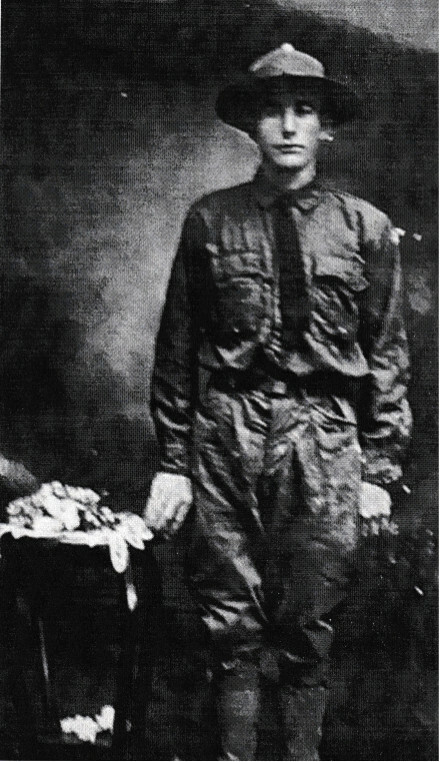 Private Robbins is Joyce Crabtree’s grandfather. Read his World War I Profile Post here. 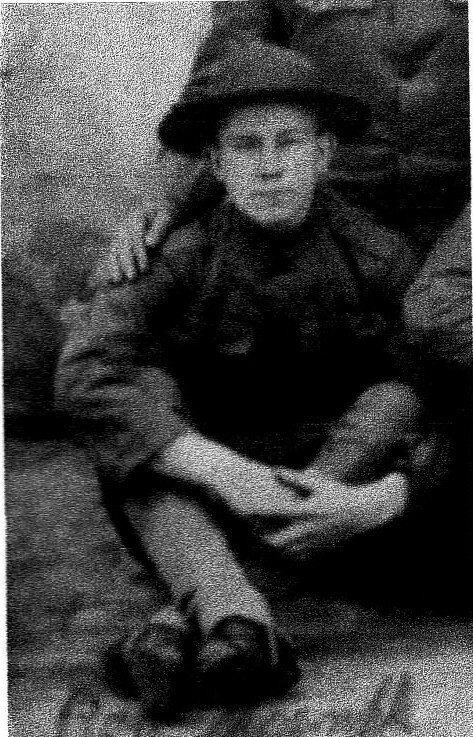 Private Albert Anthony Schulze from Bucyrus, Ohio, was called to serve August 27, 1918, and trained at Camp Sherman, Ohio. He was honorably discharged on December 9, 1918. 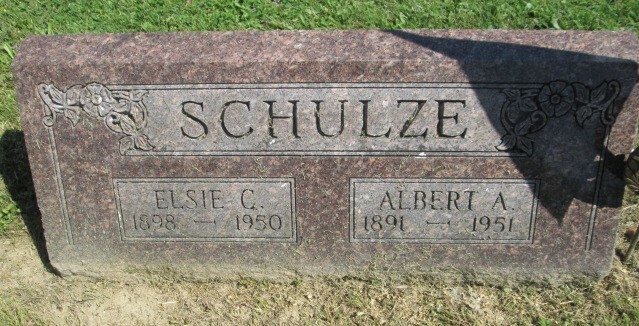 Private Albert Schulze was the brother-in-law of Carol Jutte’s great uncle. 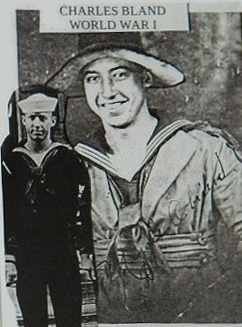 Homer Clinton Stumph enlisted in the Navy on May 29, 1917. 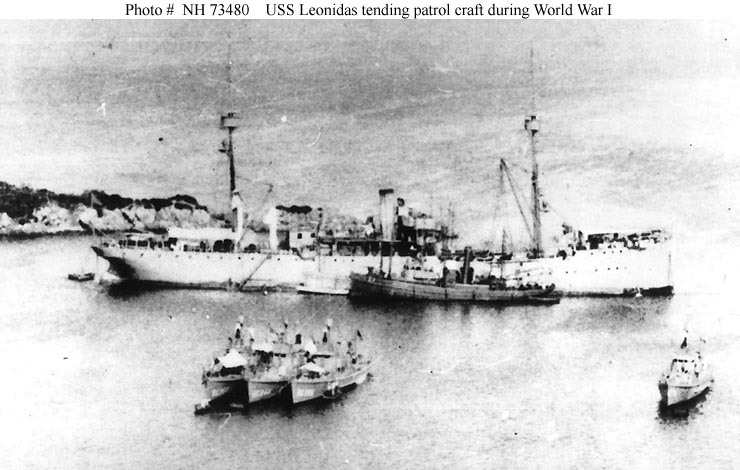 He served aboard the USS Leonidas from September 1917 until November 1918. His discharge was September 1919 as Foreman 3rd Class. Homer died less than a year later on August 6, 1920, of tuberculosis meningitis. He was unmarried. Homer Stumph is Carol Jutte’s brother-in-law of 1st cousin 3x removed. Mechanic Craven Ledrew Sellers served with the 324th Infantry in the 81st “Wildcat” Division with many other Brunswick County veterans. He served overseas from August 1, 1918 through May 29, 1919. After the war, he lived in Southport for many years, raising his family and working first as the manager of a sawmill and then a merchant. 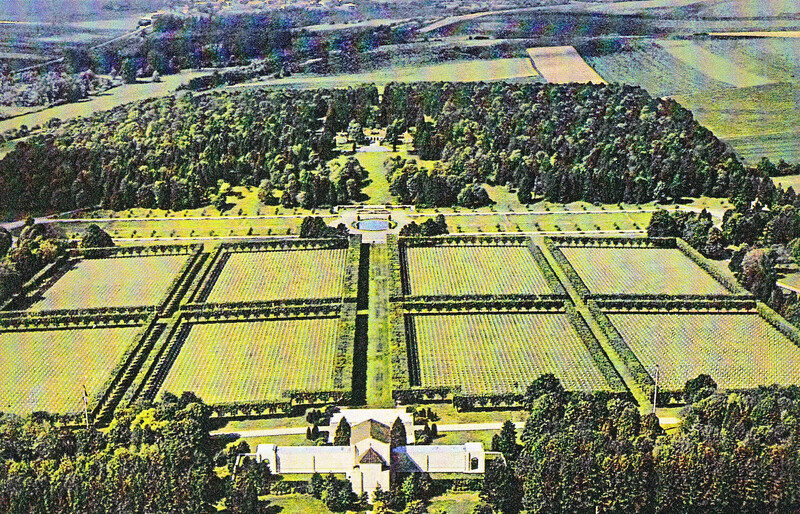 At his death in 1960, Craven Sellers was laid to rest in the Northwood Cemetery in Southport. Read his World War I Profile Post here. Sgt Archie Sprinthall served in HQ, 103rd Field Artillery, 26th Division. His artillery unit stopped the enemy at the Second Battle of the Marne, August 1918, then closed the St Mihiel salient and recaptured Verdun for an over-all total of 210 days in combat, one of the longest for the entire AEF. They then marched arm-in-arm with their companion division from French Senegal for victory on Armistice Day. Sgt Archie Sprinthall is Norman Sprinthall’s father. Norman visited the church in Belleau. The original church was destroyed by American artillery and rebuilt using funds raised by the 26th Division’s veterans, completed and dedicated in 1929. 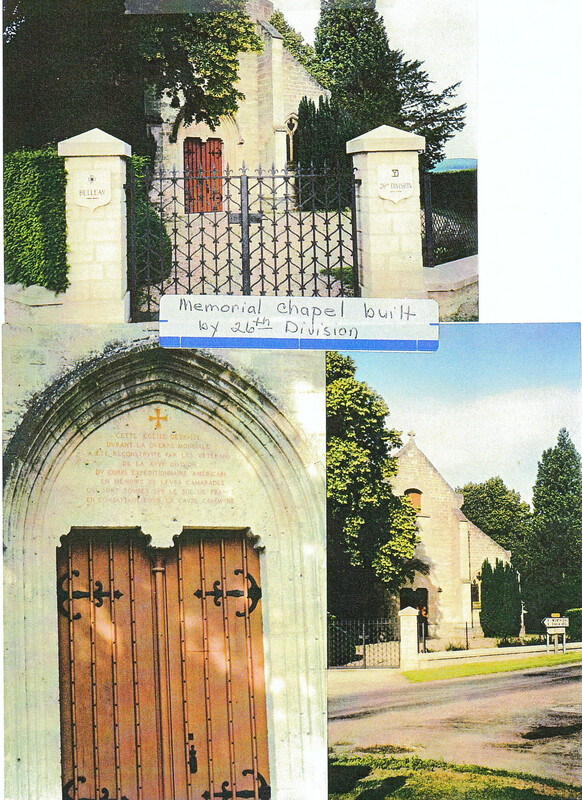 The plaque over the door carries the inscription: This church, destroyed during the world war, has been rebuilt by the veterans of the 26th Division of the American Expeditionary Force in memory of their comrades who fell on the soil of France while fighting for a common cause. Norman also visited the Meuse-Argonne American Cemetery and Memorial in France to pay his respects at the grave sites of his father’s fallen comrades from the 26th Division. See below. Pvt James Hemphill was born in Chester, SC, and attended Porter Military Academy in Charlestown. 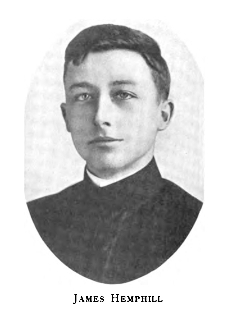 He entered Brown University in 1916. He entered service from Rhode Island and served with Sgt Archie Sprinthall in the 103rd Artillery, 26th Division in Battery C. He was killed by accident on March 30, 1918, and is buried in the Meuse-Argonne American Cemetery in France. He was 20 years old. Pvt Carl F. Greene entered service from Rhode Island. He served with Sgt Archie Sprinthall in the 103rd Artillery, 26th Division in Battery A. He died of disease on May 27, 1918, and is buried in the Saint Mihiel American Cemetery and Memorial in France. 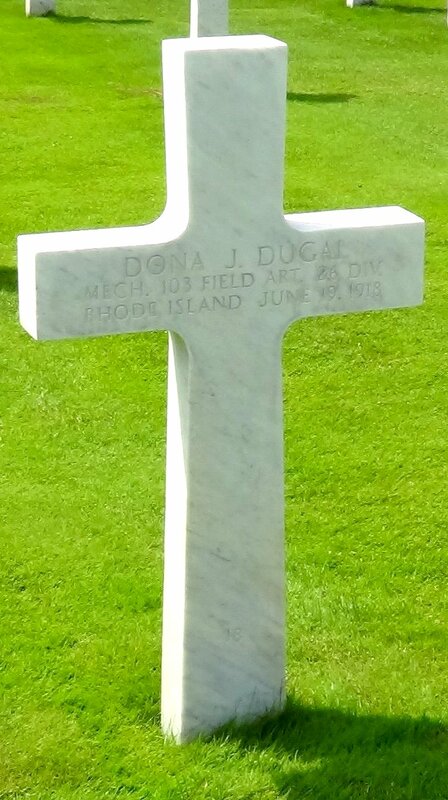 Mechanic Dona J. Dugal entered service from Rhode Island. He served with Sgt Archie Sprinthall in the 103rd Artillery, 26th Division in Battery A. He was killed in action on June 19, 1918, and is buried in the Saint Mihiel American Cemetery and Memorial in France. 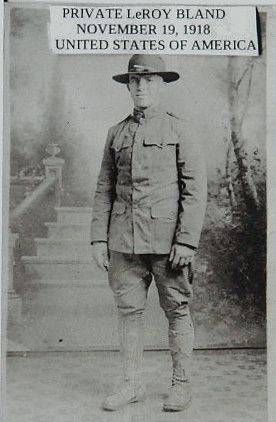 Cpl Russell Kellogg Bourne entered service from Rhode Island. He served with Sgt Archie Sprinthall in the 103rd Field Artillery, 26th Division in Battery C. He was killed in action on October 24, 1918. 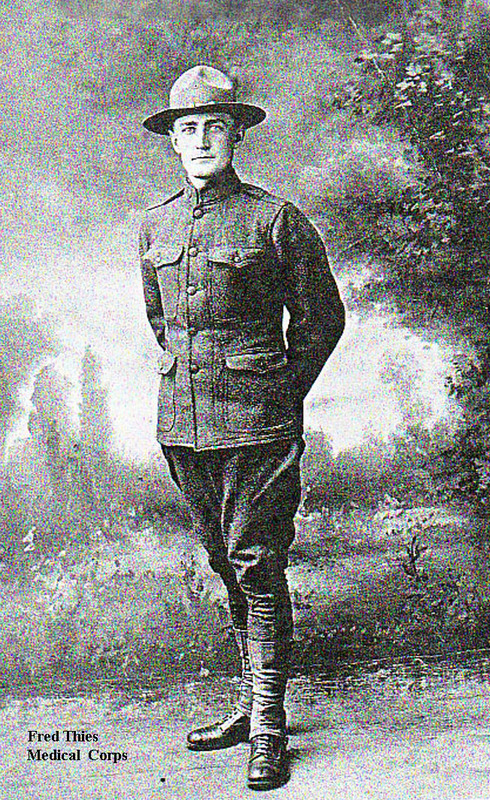 Cpl Bourne was awarded the Distinguished Service Cross for extraordinary heroism in action near Samogneux, France, October, 24, 1918. “After his place had received two direct hits, Corporal Bourne refused to seek safety and helped to carry a wounded comrade across a terrifically shelled area. While in the performance of this task he was instantly killed.” Cpl Bourne is buried in the Meuse-Argonne American Cemetery in France. He was 24 years old. Sgt. Richard J. Dennis entered service from Rhode Island. He served with Sgt. 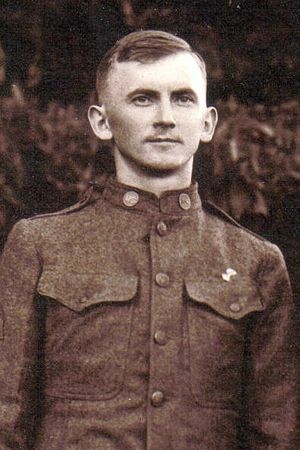 Archie Sprinthall in the 103rd Artillery, 26th Division in Battery C. He was killed in action on October 24, 1918 and is buried in the Meuse-Argonne American Cemetery in France. Pfc Wilmer H. Eicke was born in Rhode Island. He graduated from Brown University in 1915, then was a post graduate of Wisconsin University, class of 1917. Following graduation, he enlisted and served with Sgt Archie Sprinthall in the 103rd Field Artillery, 26th Division in Battery C. He was killed in action on October 24, 1918 and is buried in the Meuse-Argonne American Cemetery in France. He was 25/26 years old. The son of Polish immigrants, Robert Anthony Strzempek II lied about his age and joined the Army at age 16 in April 1917 at Ft. Solcum, NY. 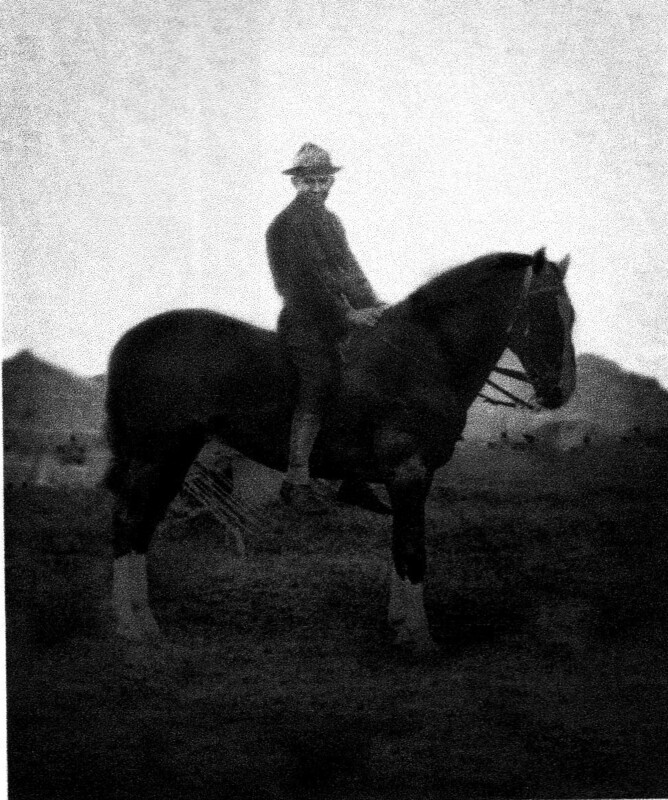 Robert trained in Companies “H” or “L”, 18th Cavalry. Robert is Richard Henry (Strzempek) Arvonio’s great uncle. Robert served in Battery “F”, 76th Field Artillery Regiment, 3rd Infantry Division and participated in many battles in France, including the Champagne Marne Defensive and the Aisne-Marne, St. Mihiel and Meuse-Argonne Offensive. Robert was killed in action on October 19, 1918, three months after his 18th birthday and nearly one month before Armistice Day, November 11, 1918, ending the war. 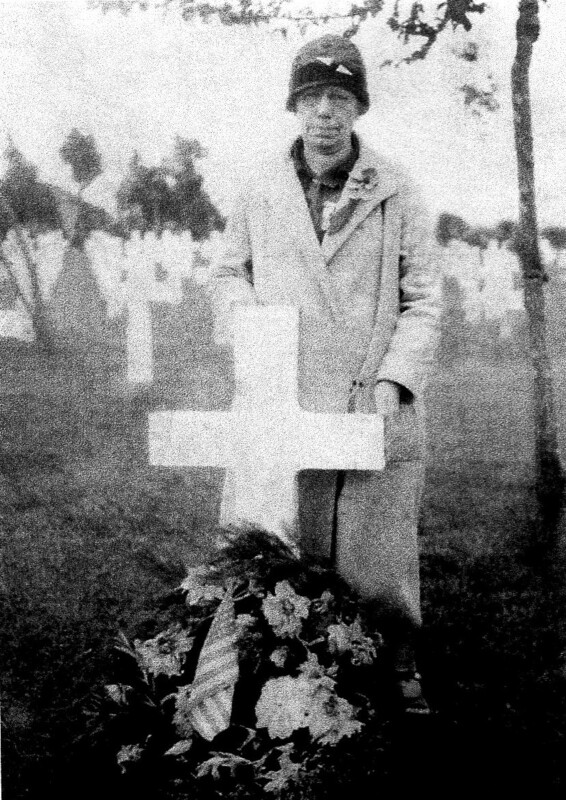 Julia Maciejewski-Strzempek made the Gold Star Mothers & Widows Pilgrimage alone in 1930 to visit her son Robert’s grave at the Meuse-Argonne American Cemetery and Memorial in France. 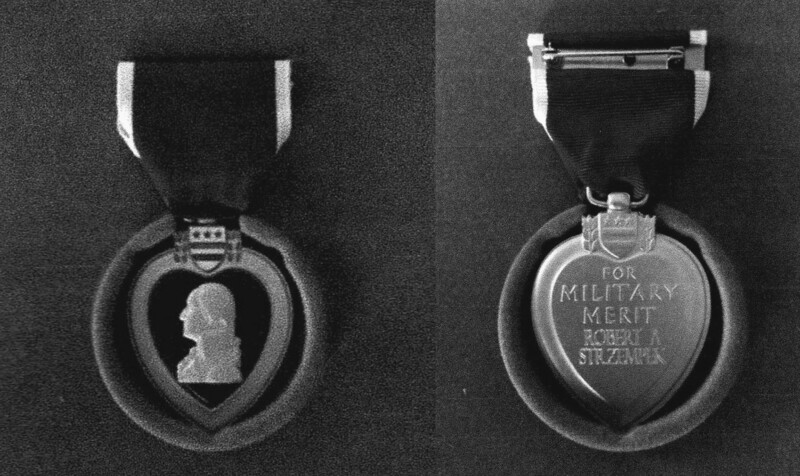 The World War I Victory Medal with 5 US Army Battle Clasps was Posthumously awarded to Robert but no Purple Heart had been awarded. After years of research by Richard Arvonio, nearly 98 years after Robert was KIA, a Purple Heart was awarded on February 22, 2016. The Strzempek-Arvonio family has a long and proud history of service in the U.S. Military beginning with the Civil War and continuing through WWI, WWII, Korea, Vietnam, Iraq, and Afghanistan. Fred Thies was in the medical corp during WWI. He was stationed at the end of the Western Front near Switzerland. His diary, now at Bremer County Iowa Historical Society provides vivid details of treatment for the badly wounded from mustard gas, shell shocks and air raids. Fred Thies is Lois Sprinthall’s uncle. Pfc William King Usher was born and raised in Columbus County, NC. 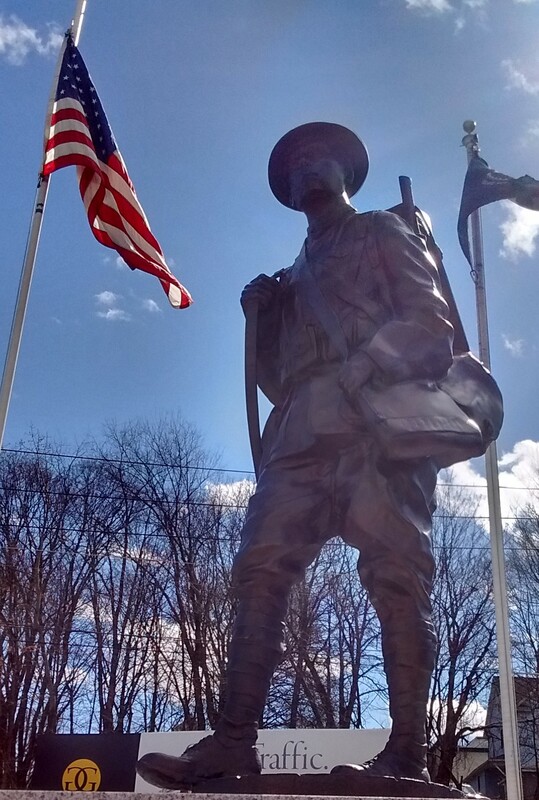 He served in the 317th Machine Gun Battalion in the 81st Division. After WWI, he moved to Shallotte, NC. He was a charter member of the Calvary Baptist Church, Shallotte, North Carolina, which was organized on December 13, 1961. 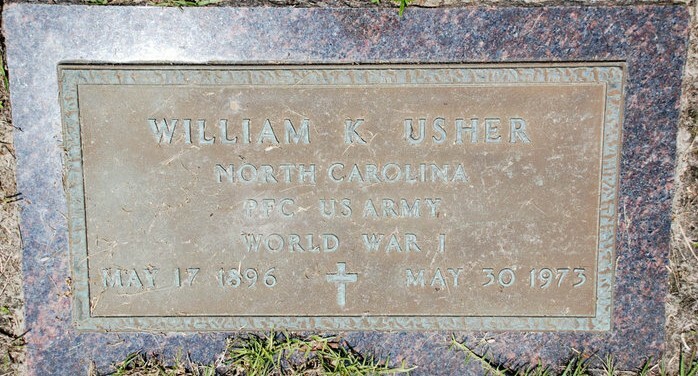 William King Usher, Sr. died in 1973 and is buried in Gurganus Cemetery, Shallotte, NC. Pfc William King Usher is Mickey Holden’s father. 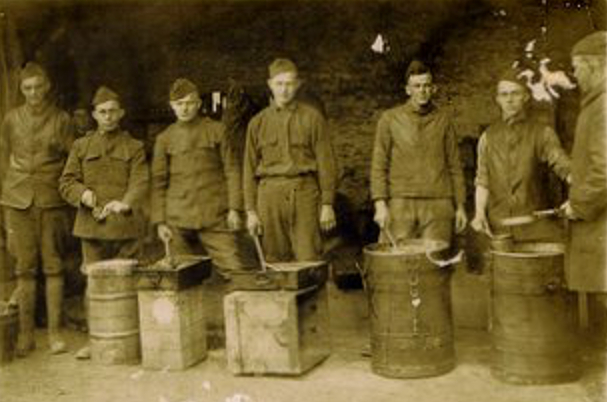 Private Weaver, first from the right, wrote many diary entries to his mother, a widow. Private Weaver was Diane Connaty’s grandfather. Diane has used many of his diary entries in her middle school history classes. 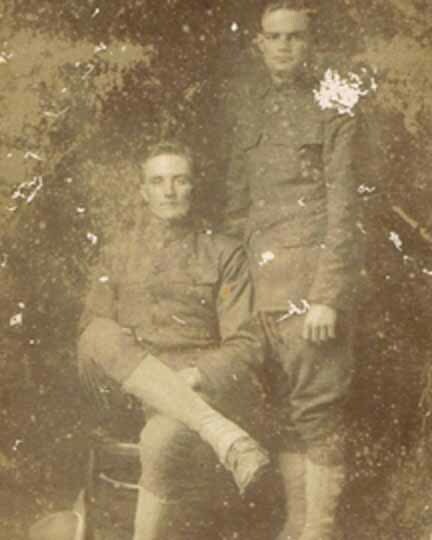 Brothers Cpl Henry D. Williams (sitting) and Pfc Albert Williams served in France. Cpl Henry D. Williams is David Williams’ grandfather. Read their World War I Profile here.